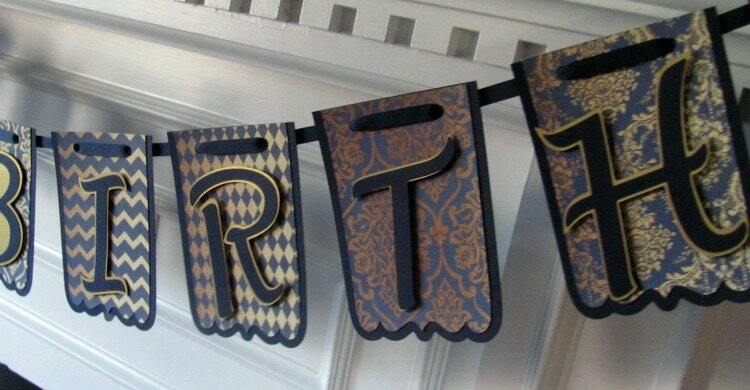 This listing is a for a navy and gold birthday banner featuring metallic gold cardstock with a navy & gold designer paper overlay. 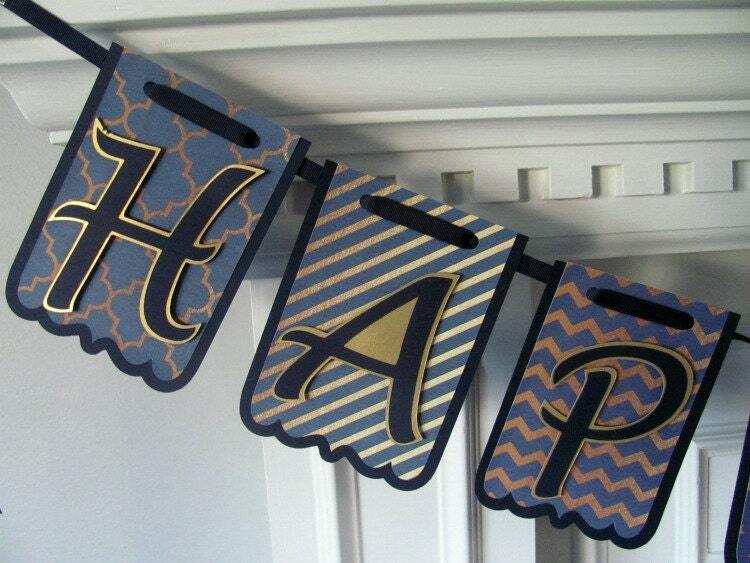 Letters are navy with gold shadowing and are raised for a 2-d effect. 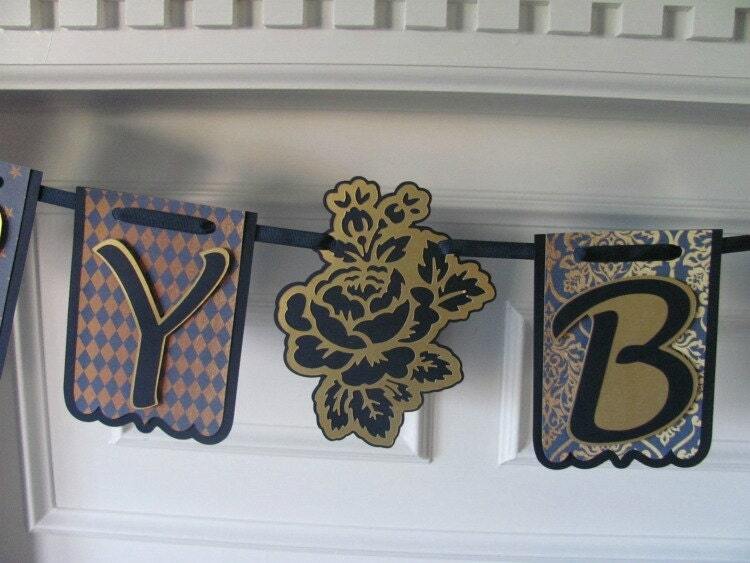 A elegant gold and navy rose is used for the word separator. Panels are 4" wide and 5 1/2" in height. Absolutely LOVE this product that I ordered an addition to it!